The single most important factor in the success of aesthetic surgery is the surgeon you select. An informed decision should be based on a number of factors, including, but not limited to - surgical expertise, the level of quality medical care delivered to each patient, an outstanding reputation in the medical community and impeccable credentials signifying achievement and professional recognition. Dr. Robert Harvey, is a highly regarded cosmetic plastic surgeon serving the Nob Hill and the San Francisco Bay Area. A consultation with Dr. Harvey always allows for a two-way conversation regarding your needs. You play an active role in helping Dr. Harvey develop a plan that addresses your specific wishes. The ultimate goal is to create a natural looking appearance that results in the best possible version of "you". 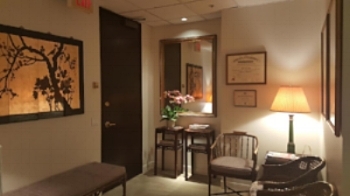 Dr. Harvey's reputation in San Francisco is built on more than 25 years of excellence in the cosmetic surgery field. He currently serves as Chief of Staff at Saint Francis Memorial Hospital. Prior to this appointment, he served as Chairman of the Department of Surgery as well as Chief of the Department of Plastic Surgery. His warm manner and ability to work in tandem with his patients forges long standing relationships based on trust. Dr. Harvey is of the firm belief that patients are best served when cosmetic surgical procedures are performed in the safety of a top notch hospital facility rather than at an ambulatory surgery facility. Accordingly, Dr. Harvey performs all surgical procedures at Saint Francis Memorial Hospital which is conveniently located directly across the street from our office in San Francisco. As noted in 'About the Practice' section above, Dr. Harvey serves as Chief of Staff at Saint Francis. The operating suites are state-of-the-art and the anesthesiologists are board certified. All arrangements are handled for your highly anticipated day of surgery, leaving you worry free. In the event you are coming from a distance and need assistance with local accommodations, we can help with this as well. During your initial consultation, you will have the opportunity to discuss your cosmetic goals. Dr. Harvey will take your medical history, take clinical photographs as needed, and recommend and discuss the procedures and options that are appropriate, based on your wishes. Rest assured, we will afford you all the time you need. We never make you feel rushed and you are encouraged to return (or call) if you have follow up questions. We have Before and After Photos available. Lastly, financial information will be discussed including the many payment options available to you. Plastic surgery is often considered “elective surgery” which is typically not covered by most insurance plans. There are sometimes exceptions, such as breast reduction surgery. We may recommend that you contact your insurance company to determine whether coverage is available. Payment options for surgery include credit card, cash or check and financing is also available, including a no interest payment plan through CareCredit™.